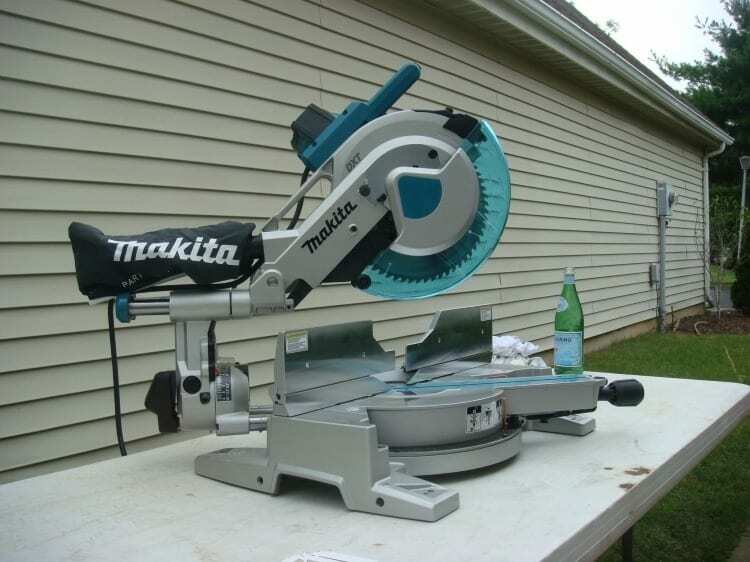 Compound miter saw that has it all, it has a smaller blade size but it catches up in other departments. Makita has always been about retaining familiar core features in their power saw products while maximizing versatility and convenience by including some choice innovations and smarter designs as well. 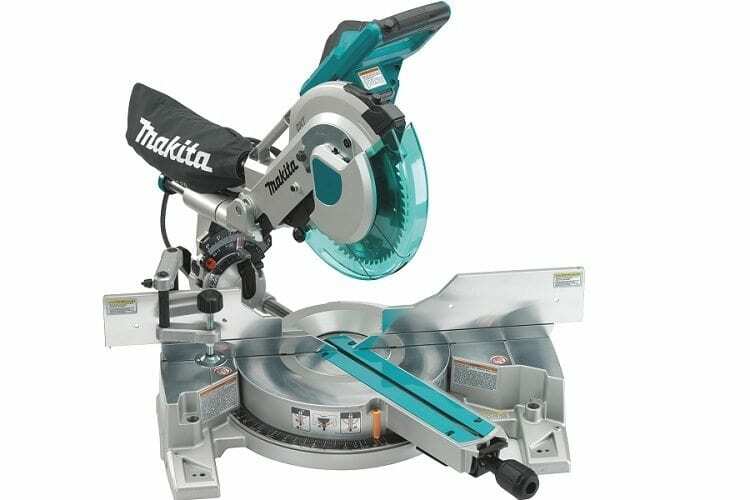 The Makita LS1016L is a perfect example of their commitment to this philosophy, as it is an extremely solid and well-made miter saw that performs on a commercial level, and makes use of some helpful features that help it make easier and more consistent cuts each and every use. In some ways, the Makita is a game changer. While it does offer performance worthy of the most serious professional contractor, it saves on overall space, and maintains a fair price point that most will be able to afford. And while the LS1016L uses a smaller blade size than the more conventional 12-inch blade, its array of smart features and enlarged cutting capacity more than make up for it. Like most saws this size, the LS1016L runs off of a 15 AMP motor, utilizing a direct drive gearbox that ensures more reliability, while avoiding any slipping, bogging down, or annoying maintenance like you’d get with a belt-driven saw. As for cutting capacity, the LS1016L excels, especially in regards to its a 6-⅝ inch crown molding cutting capacity, -- easily the best in its class. Other capacities aren’t too bad either, including a 4-¾ inch baseboard vertical cutting capacity, and a 90-degree capacity that clocks in at 12 inches. Another unique aspect to the LS1016L is its patented Four-Steel Rail Sliding System, which all but assures superior and accurate cuts from enhanced rigidity and stability, which combines with an innovative six linear balls bearing design that allows for incredibly smooth cuts without any adjusting. As for the fence, Makita offers a better approach there as well. A 4-¾ inch sliding system involves four fences, all of which have both upper and lower adjustments to help you get perfect bevel and miter cuts on the fly. Those who prefer expansive miter and bevel angle choices will appreciate the LS1016L, which miters 0 to 52 degrees left and 0 to 60 degrees right, and includes positive stops at 0, 15, 22.5, 31.6, and 45 degrees (left and right). The dual rear-handle bevel lock is very easy to access and offers adjustments ranging from 0 to 45 degrees (left and right), with positive stops at 22.5, 33.9, and 45 degrees (left and right). All necessary adjustments are a lot easier due to dual front bevel scales for better visibility. A user-friendly one-touch miter lock system ensures accurate adjustments and increased efficiency when you’re in the moment. In order to offer the most precise of cuts, a built-in laser system always displays the line of cut whether the blade is turning or not, and comes with an on-off switch and the ability to micro-adjustment for precision "left-of-blade" or "right-of-blade" cutting. As for other extras, a dust bag, wrench and triangle, and vertical clamp are included, along with a 60T blade. There’s definitely a lot to like with the LS1016L. It’s certainly geared towards various contracting work, especially in regards to remodeling, trim work, and also furniture crafting. The expanded cutting capacity is a major advantage. The LS1016L combines a smaller overall size and blade with this large cutting capacity, giving you the range of saws that are much bigger and take up more space. Ease of adjustments is another strength. With all the miter and bevel angles, users can quickly switch among different settings without having to interrupt their work. The laser system, when combined with the saw’s compact sliding rail system, always provides stable and accurate cuts. The LS1016L’s gearbox motor avoids the common maintenance with belt-drive motors, which anyone can appreciate for sure. Everything from the motor, to the ergonomic handles, to the see-through blade guard are all engineered to offer superior performance all day on the job. The LS1016L is a great miter saw, but as with most any power tool, there are a few drawbacks. The dust extraction on the saw could stand to improve. It’s a little tricky trying to fit a vacuum tube onto the vent, and even when you do, there always seems to be some sawdust that escapes and ends flying around. The miter and bevel adjustments take a bit of getting used to as well. They can seem a bit rigid until you get the hang of moving them, and they’ll also loosen up a bit. Still, it could be easier. If you are picky about blades, you may want to order a separate 10-inch blade for the LS1016L, as it can be a bit on the mediocre side to those who have more demanding work. The LS1016L is geared towards professional users, which mainly resides with its motor setup, the complicated range of angles, and overall operation. It’s great for the job site, but there’s no reason to think a weekend hobbyist can’t appreciate all the great features and capabilities as well. 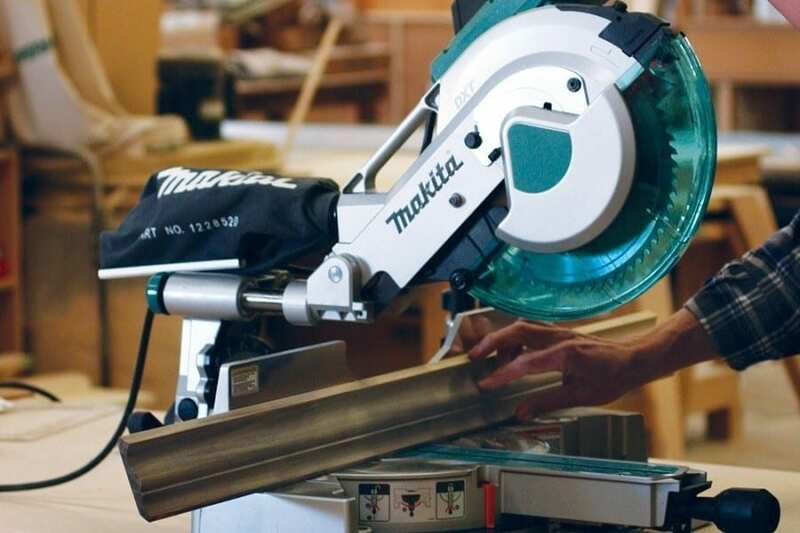 The Makita LS1016L is a great saw for contractors that routinely need a dependable, durable, and highly-adjustable miter saw that won’t take up a lot of space. It’s cutting range is simply unparalleled for its size, and the extra features are all very useful. The price may be a drawback for the weekend hobbyist, but contractors looking to add a versatile and capable miter saw to their lineup have an affordable option that will not disappoint in the least.